We have all witnessed the swings in the market that can range from a 600-point increase in the Dow Jones Industrial Average to a 600-point drop on any given day. Many people try to better understand what causes such volatility and what it means for all of us. First, what is volatility and, second, how does one measure volatility? Volatility refers to wide swings in prices within a certain time period in the markets. Quite simply, it can be measured as the standard deviation of the returns for a stock or for the market as a whole. Volatility is not new and will always be with us. While many are concerned about the market ups and downs of the last several months, the volatility we are seeing is not unusual. To get a better understanding of volatility, consider what drives value in the marketplace. The fundamental drivers of the value of common stock are the amount, the timing and the risk of the future cash flows. In theory, valuation is quite simple. Investors give up money today in the hope of gaining even more at some point in time in the future; hence the amount, the timing and the risk. The players in the market are constantly receiving new information that causes a reassessment of one or more of those three drivers of value. Volatility should be no surprise for us given the exceedingly rapid flow of new information. Market volatility tends to increase when markets are falling, so given the declines in recent months, one might expect more volatility. Another characteristic of a volatile market is heavy trading. Of course, it depends on what happens to how investors view the markets. Volatility can be impacted by many factors but the fundamental reason is something happens to change expectations. Given the domestic political environment as well as global issues, the volatility is not surprising. Interestingly, volatility over time has varied greatly but in general, what we are seeing today is not different from earlier times, such as the Great Depression years. The decade of 2000 saw a great deal of volatility particularly during the financial crisis years. What are some key factors at play in upending some of the market’s previous, record-setting gains? In terms of factors, it is hard to be precise but many analysts might argue that volatility is affected by changing expectations on the part of investors. That is, as investors become a bit more fearful of the market, more volatility can ensue. More recently, there have been concerns regarding the tariff issues with China. Also there may be other factors such as actions by the Fed to increase interest rates and, of course, more recently the government shutdown. Some would argue that computer trading and algorithmic trading have increased volatility. Upwards of 50 percent of trades are done via computer trading and trading algorithms. Some say the percent is as high as 70 percent. Those types of trading activity do the same thing individuals would do in terms of triggering orders to buy and sell. However, such trading can make trades faster and at a much higher volume than individuals. It is the speed at which trading algorithms can respond that some say drives volatility. We still have to remember that the market has been setting record high levels throughout the last two years, so it is not unexpected that we would see some adjustment at some point…markets go up and then markets go down. That is part of the cycle. What other factors are out there that could cause further upset to the market? Other factors could include global issues from outside the U.S. but that might impact our economy. There may also be some concerns with rising inflation. The recent increase in inflation has been very modest, however, and overall inflation remains quite low. In addition, we all know that markets move in cycles and some are of the belief that the bull market has run its natural course. How should people respond to the ups and downs of the financial market? While we certainly witnessed a number of large downturns and also upturns in the market in 2018, this was not necessarily out of the ordinary. Looking back over time, 2017 was somewhat unusual in terms of a lower standard deviation of return around 7 percent while 2018 reflected a more normal standard deviation around 14-15 percent. So we have to recognize that what happened in 2018 is not out of the ordinary and we must be careful to not overreact. In terms of individual investors, any reaction you may have will depend on your time horizon. For those who are older perhaps a move to “safer” investments would be warranted. For those with a longer time horizon, one could just continue to hold and ride out the downturn so to speak. Just like when the market fell nearly 50 percent during the financial crisis, it will come back at some point in time. Market timing is exceedingly difficult and too often people sell at the wrong time and buy at the wrong time. It is important the people not panic and rush to sell. 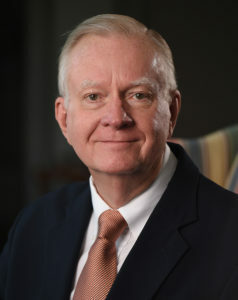 John S. Jahera Jr. serves as the Bobby Lowder Professor of Finance in Auburn University’s Harbert College of Business. He is the author of more than 90 articles in a variety of academic and professional journals including the Journal of Financial Research, the Journal of Law, Economics & Organization, Research in Finance, the Journal of Real Estate Finance & Economics and the Journal of Banking & Finance. The primary focus of his research has been in the area of banking, corporate finance and corporate governance. He serves as co-editor of the Journal of Financial Economic Policy and is on the editorial board of Corporate Finance Review, Review of Pacific Basin Financial Markets & Policies and International Journal of Business & Finance Research.